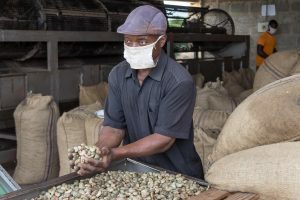 Afokantan (part of Trade Development International) processes raw cashew nuts from 3000 small farmers. 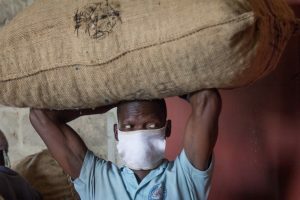 That is unusual because the vast majority of nuts that are produced in Benin leave the country unprocessed via traders. Farmers can deliver directly to the factory, which guarantees that it will purchase all of their nuts for a fair price. Farmers receive training in the area of quality management and gain access to microcredit. The factory provides a lot of employment and is contributing towards the development of a processing industry that will in turn lead to other activities. Trade Development International offers African cashew farmers access to the international market for nut trade, at fair prices. In doing so, they strive to have as many value-adding activities (factory processing) take place in Africa, in order to stimulate the local economy. The main challenge of Afokantan (part of Trade Development International) is to become competitive with the highly advanced factories in India and Vietnam. 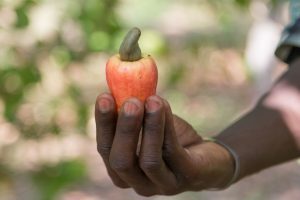 To achieve this, Afokantan will need to further expand its processing capacity but also the marketing of by-products such as broken cashews and the cashew shells. Further investments are required for this so that an integrated cashew processing industry can be realized. 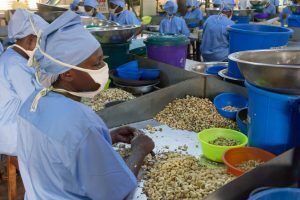 To be able to process cashew nuts on a competitive basis the factory needs to improve its capacity, integration and quality over the next four years. Machines that sort according to quality and that package the products. 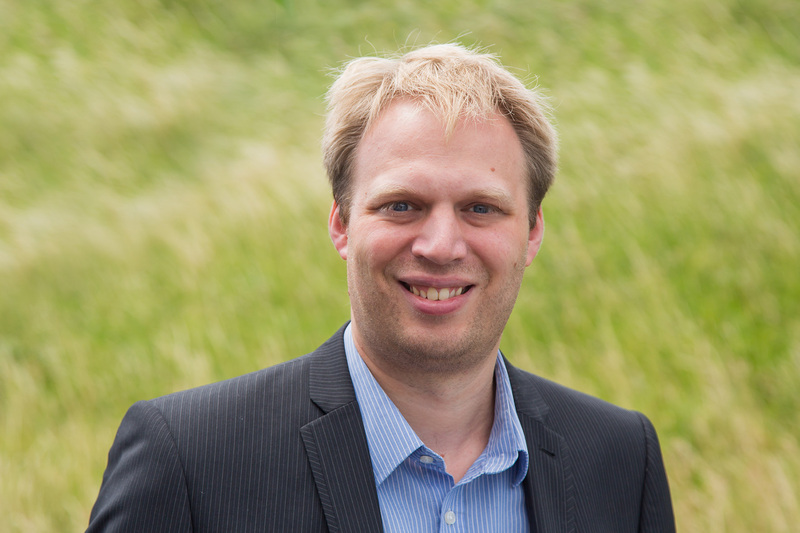 Generating energy by using waste products as a biofuel. The factory is also working closely with farmer groups to increase their production and to enable them to obtain (organic) certification. There are no updates available for this project yet. “Integrity, unity and respect are core values in our factory. We express these values in our entire factory community, including the clients and suppliers. Because they also see and experience that these values are good for the factory and the surrounding community”. When is a factory a Fair Factory? We believe that investing in a factory has a positive effect on the entire community. Farmers, employees and other actors in the chain increase their income and can therefore invest as well. Not just in their own company but also in health and their children’s school fees. However, such a positive development can only be realized if there is mutual trust. Which is why shared values are so important. We refer to these as the Fair Factory Values. The company owner chooses, together with employees, farmers and other actors, to work according to these values in a manner that is appropriate to the local context. Charles Kayembe, director of cashew factory Afokantan in Benin tells us how he has given ethical values a place in his factory. The Fair Factory Values are important for realizing the desired results. But Biblical leadership, in particular, is what Charles sees as the route to success: “It is my deepest conviction that leadership according to God’s Word and honour is the only way to achieve genuine success. Whether that is in a social organization or a commercial company. The Bible contains many examples of leaders who knew that they were dependent on God. Moses, Solomon, Joshua and Caleb are a few examples. They did not always see themselves as real leaders. Nevertheless in God’s strength they did big things”. 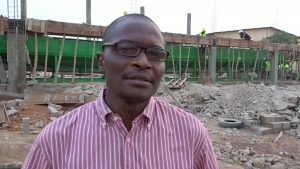 “During my work as director of the cashew factory Afokantan in Benin I try to implement Biblical leadership in practice. I feel supported in this by the shareholders, who have jointly agreed that Afokantan will develop into a Fair Factory. We were already working according to ethical principles but the shareholders have stated that they wish to continue doing this and to extend this further with a clear focus on the importance of the community”. From the Fair Factory Development Fund we invest in local processing plants so that there is sufficient capacity to process the products of the farmers. This directly creates jobs in the local community: from factory employee to transporter. The employees are therefore assured of a fixed income. With this, for example, they can pay school fees for the children, such as Justine (31) from Benin. 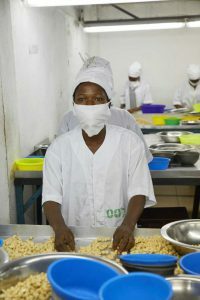 Justine has been working at the cashew nut factory for three years now. She is married and has two sons Tchin Tchin Chabel (4) and Tchin Tchin Daryle (2). Her husband also works at the factory, he has had a permanent job with a fair salary for seven years. Justine is very happy with her job at the factory, before that she was unemployed and her father supported her financially. Now she earns with this job under good working conditions between 60 and 100 euros per month. Justine works at the Classification department, where she checks the quality of the cashew nut daily. This is very important, because good cashew nuts provide the factory with more income, which directly benefits the cashew nut farmers. Justine: “My parents are farmers in the countryside, but I prefer to work in the factory. Because now we have security, because we know exactly what we earn with our fixed income. On the farm, the income was always very variable. Because of my work in the cashew nut factory, I can actually pay school fees when my children go to school. I am very proud of that. We currently do not keep much of the money we earn, but we want to start saving in the future in order to create a bright future for the family.